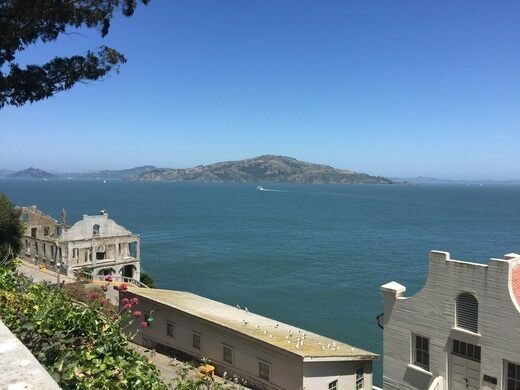 Alcatraz, also referred to as “The Rock,” is rich in American history, more so than most people realize. It is the home of the oldest operating lighthouse on the west coast, a Civil War fortress that served as the San Francisco Arsenal, the infamous federal prison, the beginning of the American Indian Red Power movement, and also a bird sanctuary. A rococo retro-futurist future-rustic vernacular between yesterday’s tomorrow and the future that never was. An enormous artwork that colorfully celebrates over 150 years of US military achievements. In 1775 Spaniard Juan Manuel de Ayala named the island “La Isla de los Alcatraces” which translates into “The Island of the Pelicans.” Since then, the earliest recorded owner of the island is Julian Workman, who was assigned by Mexican governor Pio Pico to build a lighthouse on it in June 1846. 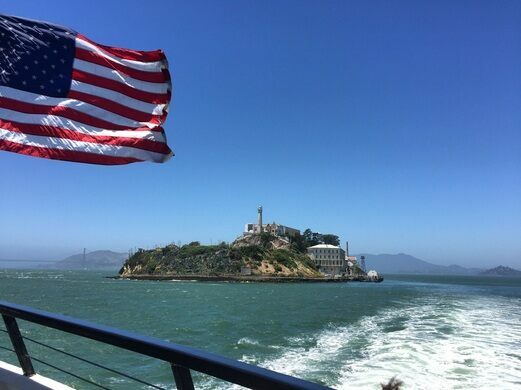 In 1850 President Millard Fillmore claimed Alcatraz Island for military use only after America gained California in the Mexican-American War. As the American Civil War broke out in the early 1860s, Alcatraz was loaded up with cannons and served as storage and protection of firearms for the San Francisco Arsenal. During the war it was also used to imprison Confederate sympathizers. In 1868, after the building of a brick jailhouse, it was officially designated a long-term facility for military prisoners. 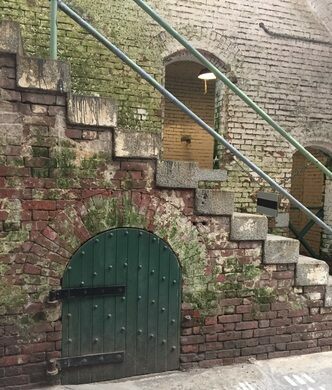 The main cellblock was constructed between 1909 and 1912, and an excavated pit was created as a dry moat to increase defensive efforts. The fortress was deactivated as a military prison in 1933 and opened as a federal prison in August of 1934. 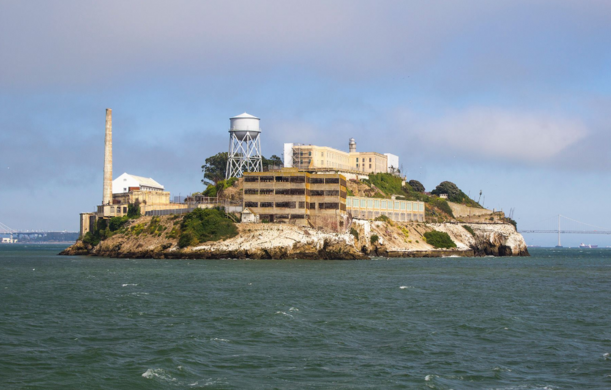 Through 1963, the prison held many notable criminals like Al Capone, Bumpy Johnson, George “Machine Gun” Kelly, and Robert Franklin Stroud (the Birdman of Alcatraz). However, in all of the 29 years it was in operation, no prisoners ever successfully escaped, or at least none that they have found alive. 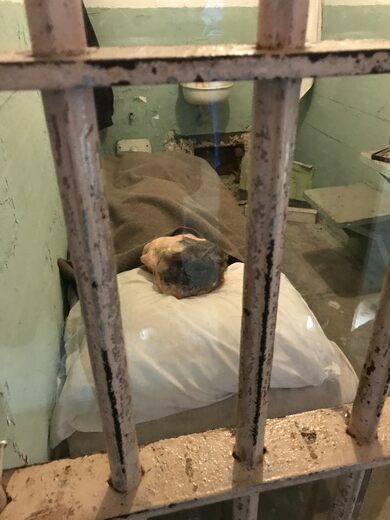 Fourteen escape attempts were made by 36 different Alcatraz inmates over the years and though almost all were captured or killed in the process, in two escapes in 1937 and June 1962, the inmates disappeared without a trace. The prison assumes they all drowned (quite likely correct in the 1937 case), but over the years there have been sightings of the escapees, leading to much speculation about their possible successful escape. The 1962 escape from Alcatraz inspired a book and movie that brought the prison to national fame. The penitentiary was closed in 1963 due to the high costs of operation in comparison with other prisons as well as the severe eroding of the building due to the salt water. In 1976, Alcatraz Island became part of the National Register of Historic Places, and in 1986 it became a National Historic Landmark. Visible below the waves are memorials to the city's Gold Rush dead. A museum devoted to all things opthalmological. Inmates dig the graves at the largest prison cemetery in the U.S., the final resting place of both cowboys and Indians. This historic Canadian jail was once the longest operating prison in the country and is now open for people to incarcerate themselves. A 200 year old prison housing a questionably tasteful crime museum. 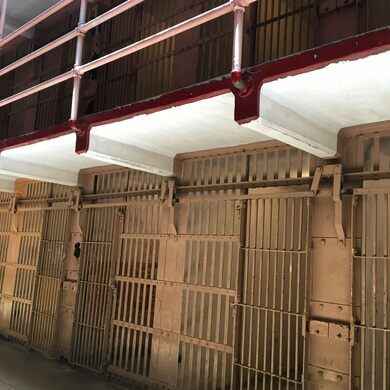 This antique prison is a tourist attraction with a sordid past.